The cast and crew of Glee gathered yesterday at a private ceremony to say goodbye to Cory Monteith, reports the BBC. Monteith died earlier this month from a deadly combination of heroin and alcohol. "Ryan Murphy and Lea Michele gathered the cast, crew and producers of Glee, along with colleagues from the network and studio, to share memories and music in an emotional celebration of the life of Cory Monteith. We thank the public for their continued outpouring of love and support as we grieve our friend and colleague during this difficult time," said Fox in a statement. Few details were released about the memorial, and the future of the show is unclear. The new season is set to start a week late, on September 26th, with a special Beatles tribute. After that, creator-producer Ryan Murphy has said that the third episode will be a tribute to the actor, and the show will then go on hiatus while producers decide what to do next. 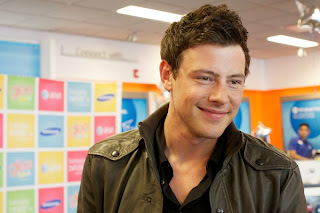 Michele, Monteith's girlfriend and fellow cast member, made the decision for the cast and crew to return to work before the show's hiatus. Murphy said that out of respect, he'd follow her wishes. "If Lea had said to me, 'I could never do this again and I don't want to do this again' – you know, she is sort of the show."